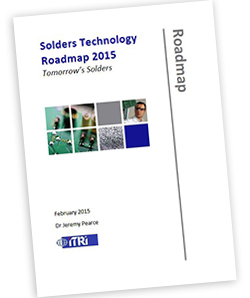 ITRI represents tin producers in support of tin users, including the solders and electronics industries. Bi-annual surveys of technology threats and opportunities accelerate innovation and make new technology implementation more cost-effective. A single-question survey on legislative and technological issues over the next 5-10 years produced 276 comments from 124 respondents, reproduced in this report approximately verbatim. Responses from the survey have been grouped together under the three themes, Technology Drivers, Technology Design and Technology Performance.